The first thing students taking the MAT want to know is, “what is a good Miller Analogies Test score?” To many students, a good score means a “high score.” Something near the 90th percentile, perhaps. This was often the goal with tests like the SAT and ACT. However, scoring on the MAT is a bit different from other tests because Miller is designed as an IQ test. 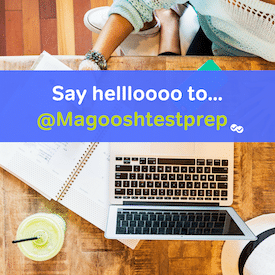 Generally, graduate tests—GRE, GMAT, etc.—test your knowledge. Most of us have the ability to learn a near endless amount of information over a lifetime. With enough time and hard work, students can achieve high scores on tests like the GRE through diligent studying. In contrast, the MAT is an IQ test. IQ tests are not purely tests of knowledge. Instead, they try to use different types of knowledge (verbal, mathematical, spatial, etc.) to measure your brain’s ability to make connections. An IQ test is designed so that nearly the whole population scores around the average, even if they study. Moreover, your IQ is pretty stable throughout your adult life. Though you learn more as you get older, your IQ stays about the same. The average Miller Analogies Test score is 400. Scoring just 25 points higher than the average is rare. Doing so would put you near the top 2 percent of the population for IQ (you might qualify for MENSA!). So anything on or above 425 would be considered a high score on the MAT. But is that a good score? The most important thing is to score well for your college! You should always find out the average score for the school you are actually applying to and try to score a little above that number. A good score on the MAT—what you should aim for—is anything on the high side of average. College students tend to do a little better than average on IQ tests, so most schools will probably want you to score between 410 and 425. Again, check with the school to be sure. Studying for an incredibly high score is unlikely, but students can certainly achieve a good score by studying the test format, learning test strategies, and carefully expanding their knowledge base. My score reported at the completion of my MAT was 445–far below the 600 I so ardently aimed for. Can you guide me to resources to estimate my percentile while I awaited the score report? Sorry to hear your score on the MAT wasn’t as high as you’d hoped. The good news is that your 445 likely puts you in the 95th percentile, maybe higher. See the Miller Analogies test score percentiles post for more details.